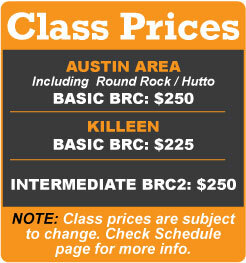 We do NOT allow students to use personal motorcycles or scooters for the beginner BRCU class. Even though a personal bike may be small it is typically not geared for the constant low parking lot speeds and maneuvers, thus increasing wear & tear on the clutch and transmission components. Also, liquid cooled motorcycles don’t do well in a training environment, which also increases wear on the motorcycles. If a student crashes a training motorcycle they usually are not as upset as they would be on their personal bike. Additionally, a mechanical failure on a personal bike could cause a safety problem on the range, resulting in the student being dismissed from the class. 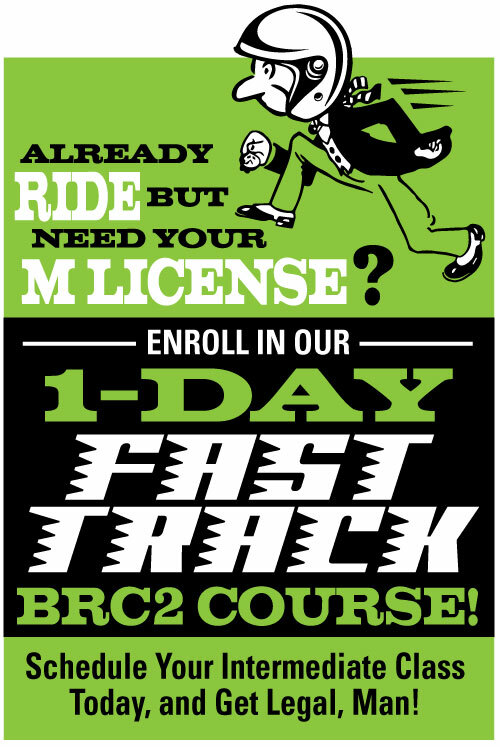 From a safety perspective, BRC students typically don’t have a motorcycle license, and we don’t encourage illegal or untrained riding.